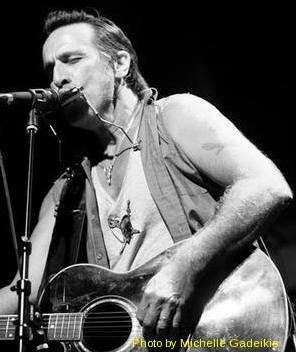 Veteran roots-rocker and alt-country pioneer Pete Berwick has been touring and recording and hammering out hundreds of shows a year, as a solo artist and with his bands, for over four decades. Along with releasing six albums, he is also an author and actor, and has written and published four novels, as well as having appeared in film and television, including “America’s Got Talent” in 2017. Over a dozen of his songs have been featured in movies and television, several of his albums have been placed in the year’s top ten by various media sources, and his “Ain’t No Train Outta Nashville” album, recorded and shelved on Music Row in Nashville in 1992 and eventually released in 2007, peaked at #5 on Xm Satellite’s XCountry Radio, now Outlaw Radio. Berwick is a full-time musician, performing regularly in Illinois, including on a rotating basis at Lucky Bernie’s, and occasionally on the road. His decades of experience and audience intuition make for an enjoyable evening of live music and entertainment.